I was sitting on the floor of the DFW airport last December when I read those words in the thought-provoking post The Tail End by Tim Urban. I was waiting for my flight back to NYC after visiting my sister, brother-in-law and nephews in Dallas. 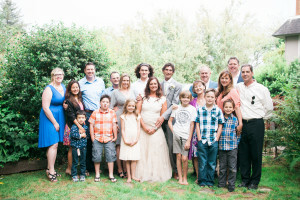 Family has become increasingly important to me in my life, and I’ve made spending time with each of them a priority, so it was getting harder to reconcile that I live on the opposite side of the country from all of them. Tim’s post put into perspective how much time we really have left with our parents, siblings and the people we love. For me, it really hit a cord with what I had already been considering. Though it would take a bit of time to really solidify my decision, I think that was the moment I decided to move back to the West Coast. Since then everything has moved so quickly and fallen into place for me. The way things have all worked out has me further convinced this is the right decision for me and the right time. I’m so excited to share I will be moving back to Seattle the weekend of April 22nd!!! I can’t wait to be able to cheer on my nephews and niece in football, baseball, dance and all the other wonderful things they are doing that I’m too far away to attend now. I’m looking forward to casual dinners with my family as well as being part of the big holiday events. When you live far away, it’s the magical everyday moments you miss. I want to cherish each and every one of those moments! 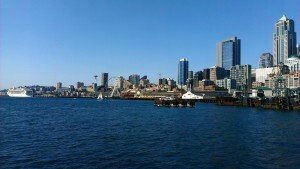 In addition to being closer to my family, I am eager to reconnect with dear friends and the vibrant Seattle community. I was so lucky to establish my marketing career in Seattle because there are so many smart people doing phenomenal things. And talk about a welcoming community! Don’t let those nasty rumors of the Seattle Freeze fool you. I look forward to reconnecting with colleagues and friends, as well as meeting new friends! I am incredibly grateful for the three years I’ve spent on the East Coast. 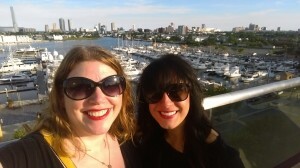 I’ve met some amazing friends, built strong business connections and had some life-changing experiences. I have grown exponentially both professionally and personally. I am returning to Seattle smarter, stronger and more sure of what I want in life. But I’m a West Coast girl at heart. And I’m coming home! 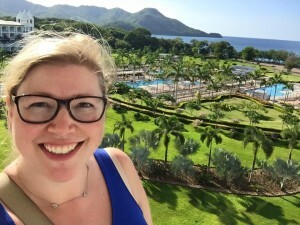 I recently had the incredible opportunity to visit Costa Rica as a work trip with priceline.com. I had never been to Costa Rica before, so I was excited to see the lush scenery and enjoy this beautiful country. My trip started in San Jose, where most of my time was spent working, but I did get a chance to experience the city some before heading to the Pacific Coast. 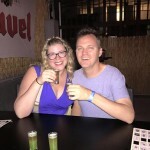 My friend who joined me in Costa Rica and I went on a bar tour of San Jose with Carpe Chepe Tours. First, we learned Chepe is a nickname for Jose so locals affectionately call the city “Chepe.” So the company name, and mission, is about helping you embrace and experience San Jose. It really was a fantastic way to see more of the city and get a better sense of the culture and the people. We happened to be the only 2 people who signed up for the tour that night. But that just meant we had more of a chance to get to know our guide, Amy, and her roommate better. One of the highlights was actually not on the itinerary. I saw what appeared to be a club with floor to ceiling windows at the top of a tall apartment building. I asked Amy about it and she said it was a VIP club they sometimes take their tours if they plan it ahead of time. She said she might be able to get us in if we were interested. Of course we were! Amy worked her magic and we were able to go up. The view up there was amazing! You could see most of San Jose. 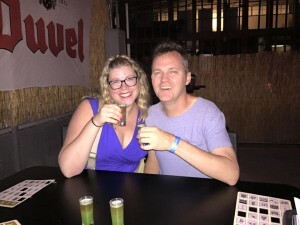 It was a fun night where we felt more like locals than tourists, which is how I like to experience new places. The next morning we flew from San Jose to Liberia. When I selected the flight on NatureAir, I mostly liked the idea that the trip was only about an hour instead of nearly 5 hours on a bus. It didn’t occur to me the flight would be my favorite part of the trip! It was a smaller plane, maybe about 20 seats total. The plane had huge windows and flew at a lower altitude, so it was an incredible way to see the beauty of Costa Rica! We had one quick landing at the Tamarindo airport, which is really just a small strip of asphalt in the middle of what looked to be farmland. 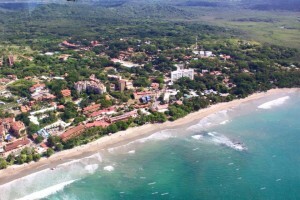 And we were landing we flew over the coastal town of Tamarindo and it was simply stunning! I can’t recommend this flight highly enough! It’s more than transportation, it is a sight-seeing experience! Once we landed at Liberia we took a taxi to the RIU Palace Costa Rica in Guanacaste. I booked this lovely all-inclusive resort on priceline.com as an Express Deal. 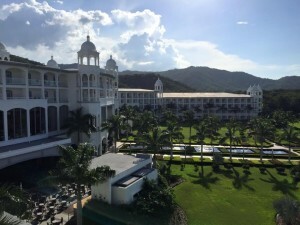 The RIU site actually has two resorts, the RIU and RIU Palace. The resort was incredible and the view was breathtaking! I was actually able to take this opportunity to include this wonderful resort in our #roomwithaview Instagram campaign. We've got a bonus round of #roomwithaview for you! Our social media manager, @kariannestinson, is staying at this beautiful resort. Can you figure out which hotel it is? Guess in the comments for a chance to win a $300 credit for you next hotel stay! It was the rainy season when we visited, but we lucked out with great weather for the most part. But we did get some rain. 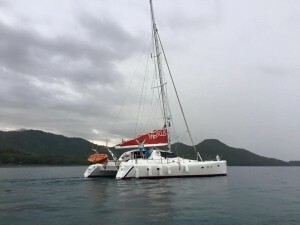 On our second day there we went on a catamaran tour on The Hibiscus. The plan was we’d try to see some wildlife like whales, turtles or dolphins then we’d find a place to snorkel and see more sea life before heading back to watch the sun set on the Pacific Ocean. The day started beautiful, but the rain started shortly before we boarded the boat. It stopped when we got on the boat so we continued with our plan. We didn’t find any whales, turtles or dolphins, unfortunately. We did go snorkeling as saw some beautiful fish. Then the rain came back full force. It was intense but also incredible being in the middle of a downpour while in the Pacific. Then we had to swim back to the boat as quickly as we could. The rain didn’t dampen our fun, it was still an incredible trip! 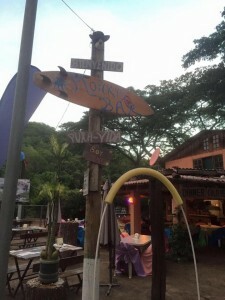 The last night we walked down the beach to a little place called Monkey Bar. I’d read many reviews that this place might be a bit of a tourist trap, but there are many monkeys in the jungle around the establishment and that it’s worth visiting. I would definitely agree it’s worth a visit! When we were walking in we had 3 howler monkeys in the trees above us. It was so cool! The bar itself was quirky and fun. 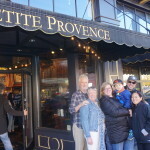 The staff were so friendly and welcoming! I definitely recommend going there if you’re in the area, but I also strongly recommend you bring mosquito repellant. I was eaten alive! Everywhere we went in Costa Rica I was overwhelmed by the welcome and hospitality of the locals. They were so friendly. The unofficial motto of Costa Rica is Pura Vida which translates to “pure life.” But it’s more about enjoying the simple pleasures and appreciating what you have in life. From what I could see the locals truly embrace that sentiment. It was a wonderful vacation to take a breath, relax and refocus on what is truly important in my life. I honestly didn’t want to leave because it was so lovely, but eventually vacations end. But I made sure to bring some Pura Vida home with me. OK, not every Thursday. 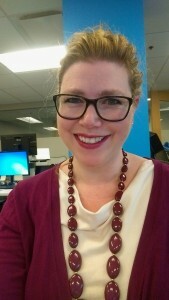 But today, 3/26, I wear purple. I’m wearing purple today as part of Purple Day for Epilepsy​. You might not know this about me, but I was diagnosed with epilepsy when I was in the 3rd grade. It was very scary to go through all those tests when I was only 8 years old. When I was diagnosed my neurologist told me I would either outgrow it or it would get worse and I would need brain surgery. It was tough having epilepsy as a kid. I had to get weekly blood tests, which I hated. But I got used to them and was actually proud of how well I could handle them. One of my triggers for seizures was lack of sleep, so slumber parties were hard. I was always worried I would have a seizure and freak everyone out. Because of the concerns around how to handle someone having a seizure, I had to tell my class about epilepsy and my seizures every new school year. The last thing you want as a kid is to be different. I remember getting upset with anyone, including my school counselor who called me an “epileptic.” I was a person with epilepsy, because I was a person first. epilepsy didn’t define me. One of my biggest fears is that I would have a seizure on a date. My mom told me if a guy didn’t like me because of that, he wasn’t worth liking anyway. I was lucky. I outgrew epilepsy when I was a kid. I can drive and I don’t worry about seizures on dates anymore. But as I’ve gotten older I’ve met more and more people with epilepsy. Some friends had childhood epilepsy like me and don’t have seizures anymore. Some friends are still struggling with seizures and finding the right treatment. I’ve had students in my class with epilepsy and I had the opportunity to see the amazing new magnet treatments being used. There are more of us who have or had epilepsy than you might think. I’m so glad there is more education, awareness and research now than when I was a kid. Let’s keep that going! Last week I had the opportunity to present at SMX Social Media Marketing Conference in Las Vegas. Honestly, it was a bit surreal to me to present on social listening because several years ago I worked as a contractor on an analytics and reporting team, which was my first exposure to social listening. I had no clue what I was doing. I didn’t know the tool and I was overwhelmed by all of the data I needed to sift through and distill down to insights. I don’t think I was very good at it back then and I’d be scared to look back at those early reports. But even then, I understood the value and importance of social listening. I was grateful for the opportunity I had to start learning more. I continued my education over the years and now I’m often the most knowledgeable person about social listening on my team. I’ve worked on numerous tools, evaluated tools for enterprise clients and I can build a query like a rock star! Okay, just kidding. I don’t think rock stars build queries. J Point is, I’ve come a long way, but I still remember that feeling of being overwhelmed. So I was thrilled to present at SMX and maybe help others who are feeling that way. Jeff Bezos of Amazon said, “Your brand is what people say about you when you’re not in the room.” But with social media, people are saying it and you CAN be in the room – if you take advantage of listening. People are talking. They’re talking about your brand, your products, your competitors and your industry. They’re talking about what they like, what they don’t like and even shedding light on their pain points. Are you taking advantage of these conversations and using it to better your company and your products? The information you get from social listening can be helpful to more than just the marketing team. There are so many benefits that reach across your company. Competitive analysis – Social listening can give you a view into what your competitors are doing, and how well it’s working. You can find out what people like or dislike about your competition and take that knowledge to improve your own brand. Product development – Are people asking for a new product, new feature or modification to your current offering? Content marketing – Listen to how people talk about your company and the words they use. You can create content that answers frequently asked questions. You can also use the words your audience uses about your brand to create a stronger connection. identify influencers and advocates – Listening can help you identify the people who love your brand and are already talking about you. You can build a relationship with them and empower them to be your brand advocate. Market research – Social media can be a big focus group. Find out what people really think about your industry, marketing, products and services. Crisis management – This is where most businesses focus their social listening efforts, just to make sure they know if there is a crisis brewing. However, in order to have this goal and be effective, you need to have a strong social listening tool and/or process in place. In order to keep something from becoming a full-blown crisis you have to act quickly. That won’t happen if you aren’t listening consistently and have a way to sift through all the noise. Sales support – many brands want to use social listening in order to identify purchase signals and then go in for the kill. There are ways for brands to effectively engage someone who mentions they’re in the market to purchase, but it has to be done carefully and in a very human way. This can’t be robotic or automated. Social listening can also give your sales team great insights on potential customers pain points. Monitor sentiment – With social listening you can get a sense of whether people like your brand or not. You might also find out why they feel that way, which is likely more useful information. However, I have a caveat on this. I’m not a fan of pretty much any automated sentiment analysis. Every tools says they do it, but in my experience no one does it well nor do they rate a high percentage of posts. I recommend doing sentiment analysis manually, at least with a sampling of posts. Social listening can help many areas of your company reach their department goals. All of this can help drive your overall business goals. Before you start listening, think about what business goals you want to drive. Knowing this will help determine how you should set up and manage your listening efforts. However, you get what you pay for, as they say. Free isn’t really free. You have to spend more time pulling data, sifting through it and making sense of it. And there is a lot of noise to sort through. Half of the business data out there today was created in the last 2 years. Spending hours going through all of this with free tools might not be the most efficient use of your social or marketing team’s time. What is your goal(s) with listening? What are your ‘must haves’ for a tool? Do you have an employee or employees who can manage listening? Do they already have experience? One thing I find crucial when looking at a social listening tool is customer support and training from the vendor. Yes, social listening can seem overwhelming. But if you educated yourself and arm yourself with the right tools, you have access to valuable information that can help you achieve your business goals. After more than 3 years, last Friday was my last day working at IPG Mediabrands. I planned to post this last week, but technology had a “hate on Karianne” day and my computer died. 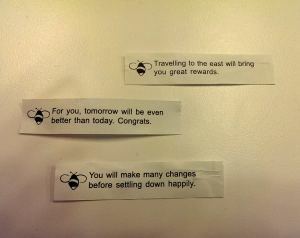 Which made for a more stressful last day than I would’ve liked, but it will make for a funny story some day. Anyway… it’s been an amazing ride, but all good things come to an end. I’ve been reflecting on my time with Mediabrands, Spring Creek Group and Mediabrands Publishing a lot the last couple of weeks. I’ve learned and grown so much over the last 3+ years. I’ve worked with wonderful clients and incredible coworkers! I’m grateful for all the opportunities I’ve had and I will cherish the memories. Singing karaoke with Jacki Kelley! Pitches. SOWs. Audits. Happy hours. Candy. Bagels. So many more wonderful memories! I will keep them all with me and remember them fondly. But the end of this era in my life means the beginning of a new chapter. 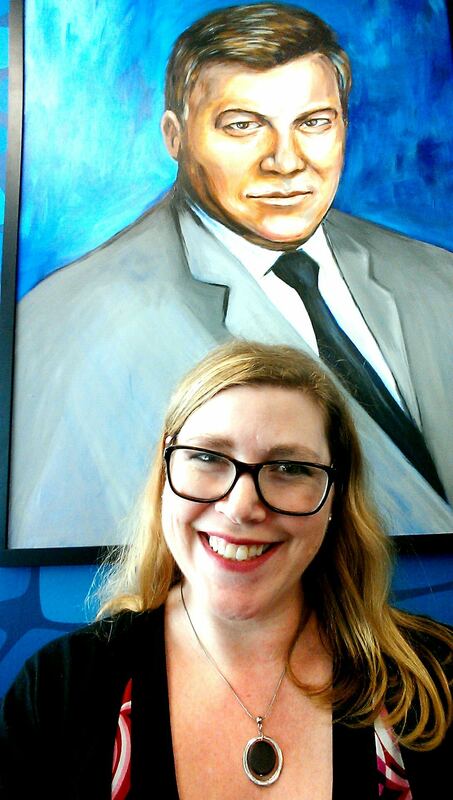 Today I started my next adventure as the Social Media Manager at Priceline.com. I’m thrilled to bring my love for social media marketing together with my passion for travel and technology. I feel like the job description was written just for me! Travel is part of my DNA. My mom and grandmother were both travel agents. Now I’ll be the third generation of travel professionals, carrying on the tradition. In a bit of foreshadowing, check out a commercial I made while pretending to be my mom when I was a little kid. In my family we were taught the value of travel and how it can broaden your view of the world. I was lucky to be able to travel quite a bit when I was growing up, including traveling around Europe at the age of 10. Those values instilled in me at a young age have blossomed in to full-blown wanderlust and my obsession with planning my next vacation. Just check my Pinterest. Travel is a wonderful hobby, but it can be quite expensive. I love the mission of Priceline.com, helping those who’ve been bit by the travel bug to do more for less cash. I’m excited to help tell that story on social media and beyond. I’ve loved having a variety of clients in my agency career, and I know I’ll often draw on those experiences with Priceline.com. But I’m really excited to roll up my sleeves, dig in and own one brand on social media. This is going to be a fun, thrilling and challenging adventure! I had the opportunity to speak at SMX East in New York City a couple weeks ago. It was actually my first time at SMX East, but I had heard many great things about the conference so I was excited to be part of it. I was impressed with the quality of speakers and breadth of content covered in the three days. I’ll give a high-level overview of some of my top takeaways from some of the fantastic presentations I was able to attend. There were many more fantastic speakers and presentations; this is just a handful of my favorites. 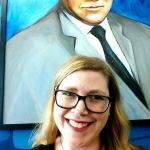 Rebecca detailed some very interesting research she conducted with Altimeter, which you can access for free! She detailed the pros and cons of native advertising, which is definitely helpful if you need to get buy-in or want to be realistic about your challenges. If you aren’t already, you need to pay attention to native advertising. According to Rebecca, 49 times more clicks are generated by Facebook page post ads than traditional onsite ads. And they cost 45% less! Scott outlined the evolution of content marketing so far, most of which has been very passive for our customers. Since 93% of brands are doing content marketing, how can you break through the noise? Scott made the case that the next step for content marketing is to move from passive to interactive. He recommends that we need to use marketing apps, both native apps and responsive web apps, to involve our audience in the content. I loved Scott’s example of using quizzes to qualify interest before offering a white paper, rather than just asking for email. While it is more of a hoop to jump through, it is interesting and engaging, and people feel more invested and want to learn more. Joanna talked about the importance of branding and building a strong brand story. Joanna urged us to know what our brand’s passion or purpose. What is it we wake up every day to do? Joanna also stressed the importance of providing value beyond the products. How will your brand improve your customers’ lives? 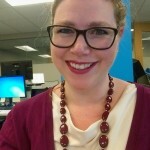 She has some great brand examples from today’s top brands; I recommend you check them out! 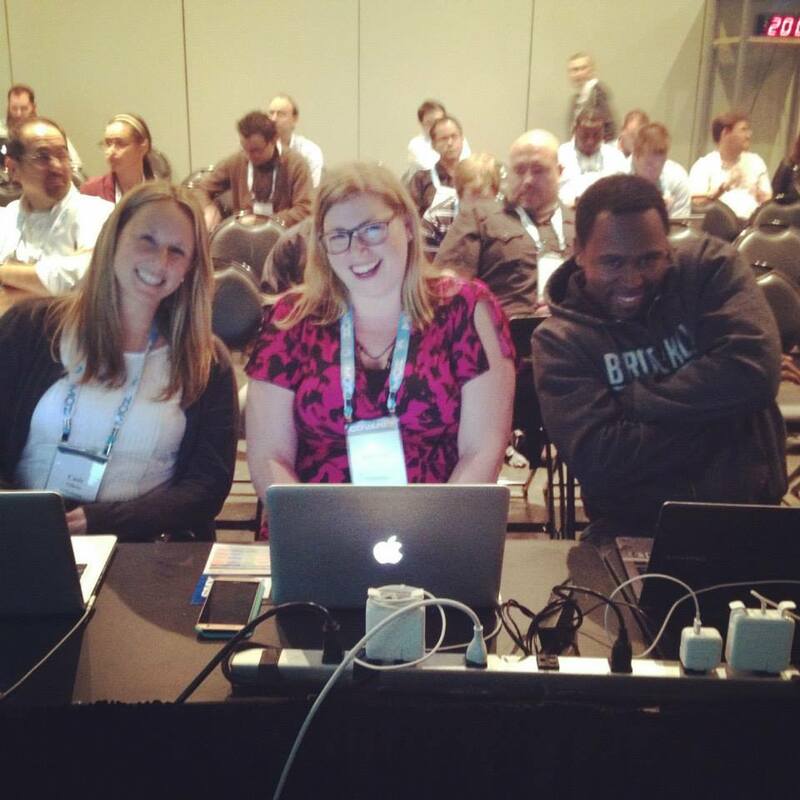 Casie Gillette, Michael Icon King and me checking out the other presenters at SMX East. Mike went through 78 slides in about 15 minutes. There is so much great info in there! So many awesome tools! It’s definitely one you must check out. There were two particular tools I hadn’t heard about before that I’m excited about: Bottlenose Sonar and keywordtool.io. Bottlenose Sonar is a social listening tool that will show you terms that are being discussed together on Twitter. You can get a gauge on what people are saying about your brand or products, and what other things they mention along with it. io will help you quickly discover what people are searching related to your products and keywords. You can search for Google, YouTube, Bing and the AppStore. Joe showed how marketers can use keyword research tools, like SEMrush and KeywordTool.io, to figure out what people want to know. Knowing this, marketers can create content that addresses those needs. I loved Joe’s idea that marketers should come up with 10 ideas every day. He recommended reviewing those ideas weekly, mating any ideas that work well together. Then create the magic! One of my favorite points from Jeremiah’s presentation was “people before data.” Customers are not a collection of keywords and data points. They are real people with their own pain points and joys. Marketers need to build out customer personas so you are marketing to real people. 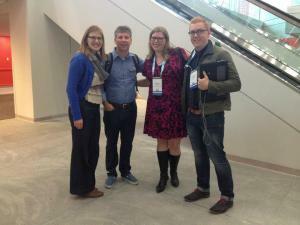 Christi Olson, Danny Sullivan, Jeremiah Andrick and me chatting during a break. Kerry’s presentation was one of the best ones I saw both because of his fantastic content, but also he is hilarious! If you ever have the chance to see him speak, I highly recommend checking him out! Kerry also talked about the rise of mobile and what that means for search marketing and metrics. One fantastic point he made is to make sure you track the traffic you drive to your mobile app since now a Google search can lead directly to the app. Another great quote from Kerry (quoting himself), “People want the story. Not the data.” I’m a geek for the data, graphs and analytics, but what’s more important is the story they tell. The “so what.” As marketers we need to take the data to tell a story. Content marketing and branded content was definitely a theme throughout the conference. We’ve heard “content is king” so marketers started making MORE content. 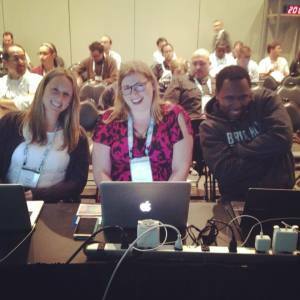 But the theme of SMX East 2014, at least for me, is we need to make BETTER content, not more content. It’s about the quality and value the content provides for your audience. One thing I love the most about the SMX conferences is they bring together many difference disciplines within the online marketing field. My career has mostly been focused on owned and earned media: PR, social media and content marketing. But it’s so crucial that I understand and work with paid, SEO and PPC marketers to reach our business goals. We can’t work in a silo anymore. 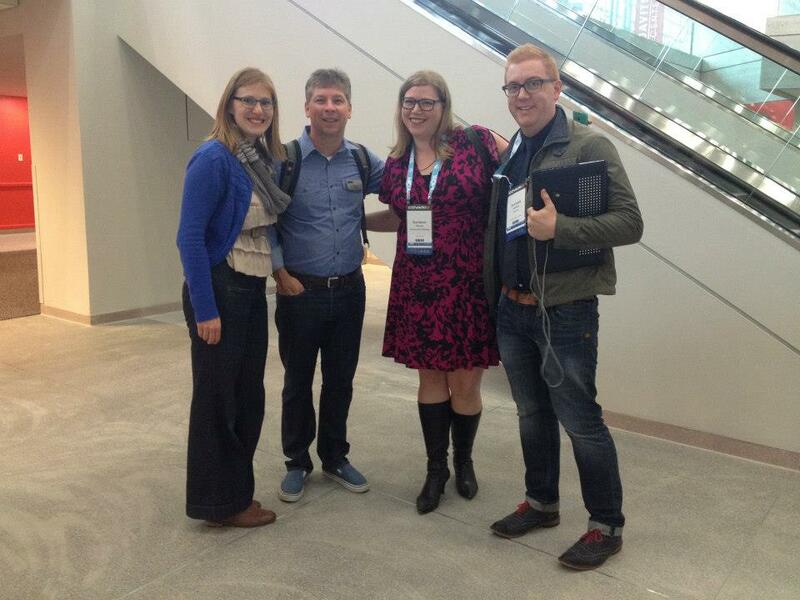 The SMX conferences help me understand other marketers’ pain points and goals, so we can better work together. And I get to learn from some of the smartest people in the industry. If you were at SMX East, I’d love to know your key takeaways! As a past 3rd grade teacher and public relations professional, I’m a bit of a stickler for grammar. I still have an AP Stylebook next to my desk and my co-workers come to me with their grammar questions. It’s not that I’ve never made a mistake. However, when I do make a mistake I notice it after and it drives me nuts. But not literally. 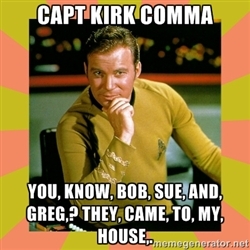 Anyway, the latest wave of memes and jokes about linguistics warms my little grammar geek heart! Here’s a bit of a laugh to brighten your Monday. I didn’t think Blurred Lines + Weird Al could be so good, but it is. And it’s educational, too! 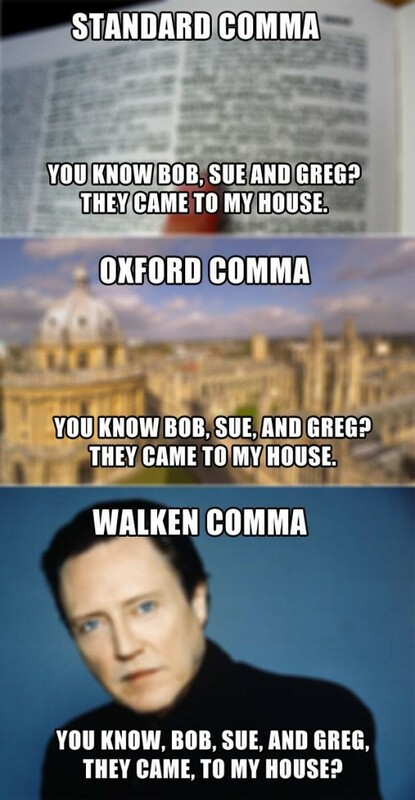 Have you seen any great grammar jokes? Please share them with me in the comments! I’ve tried pretty much every cell phone operating system. My first smartphone was a Blackberry. Then I got an iPhone. After that I tried out Windows Phone. Finally I moved to Android. I really didn’t expect to like Android, let alone love it. All my friends had iPhones, so I figured I’d stick with that. But then HTC became my client and I learned so much more about different operating systems and the cell phone market. For two years I had the chance to try out many new devices. I still kept my iPhone in case I wanted to switch back or there was something I was missing out on. But once the HTC One (M7) came out, I sold my iPhone and I honestly don’t miss it. 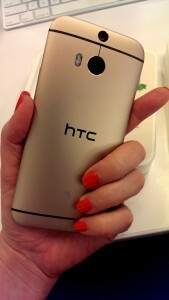 Then HTC gave me the One M8 to try out and I’m even more impressed. HTC is no longer my client, so I’m no longer responsible for their successes (or failures) in marketing. But I genuinely want them to succeed. They make great devices. I love showing off my phone to friends and family. One of my friends commented the other day that I’m the only person she knows who really loves her phone. And I do. Let me tell you a few reasons why. The speakers on this phone are unreal. It has dual speakers in the front that make it louder than any other device I’ve seen. I have a Jambox by Jawbone, but most of the time I just use the HTC One’s speakers. I use it every morning when I’m getting ready. It’s also super handy when I have a picnic in the park or at the beach with friends. I often become the group DJ, a role I love to play! It’s a beautiful phone. It’s an all-metal frame, so it feels far more solid than some plastic competitors. Because it’s a solid frame, I can even go without a case. I have the gold color and it’s really pretty so I want to show it off. Some might find the size to be too big, but I like it. It still fits in my pocket and it feels good in my hands. And I love the larger screen. The colors are so vivid and beautiful, I enjoy showing off my screen to others. My very favorite thing about the HTC One M8 is the camera. It really is incredible. Most of the time my friends ask me to take the picture because it will turn out better than their phone’s camera. From the wide-angle front facing camera that captures better group selfies to the night mode that captures in low light, the HTC One M8 outperforms most other camera phones. In fact, I’ve completely stopped using my point-and-shoot camera because my phone is better. The duo camera effects are really cool as well. I’ve enjoyed playing around with ufocus and turning simple photos into more professional looking images. I think one of the coolest features of the HTC One is the automatic video highlights feature that turns my photos into a 30 second video. I loved it on the M7 and they improved it on the M8. Far too often I would take a ton of pictures, but only share a few on my social channels. With the video highlights I can share many of my photos from an event at once and share more of the whole experience. I only wish I could make longer videos because sometimes 30 seconds just isn’t long enough. These days I feel like the basic features of phones are pretty much on the same level. And now most apps are available for both iOS and Android. So for me, the phone has to have something extra to stand out. 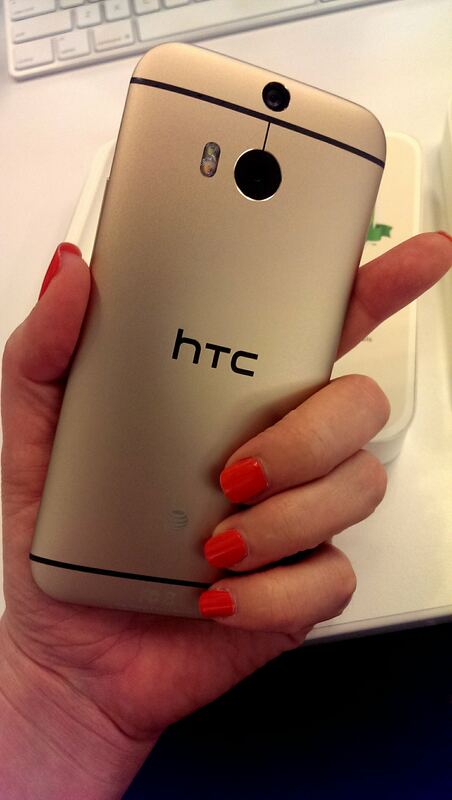 The sound, the design and the camera make the HTC One M8 stand out. A year ago today I packed up everything that was left in my apartment, took an Uber to SeaTac airport and flew to New York. I arrived at my new apartment in Manhattan exhausted, but ready to start my new life. Today is my first New York-aversary! It was my birthday a few weeks ago and two of my best friends from college were visiting me in New York. They commented on what an amazing community I’ve built here, especially since it’s only been a year. They’re right. I’m so blessed with the incredible friends who make up my family of choice in NYC. Some people I’ve known for many years from their time in Seattle, but many are new friends I’ve made this year. In a city of more than 8 million people, I’ve luckily found some of the smartest, funniest, most caring and honest people. Each an every one of my friends here supports me and challenges me to be a better version of myself. I’ve spent a lot of time thinking about how to meet people in a new city. When I moved to Seattle 9 years ago, I didn’t know anyone. 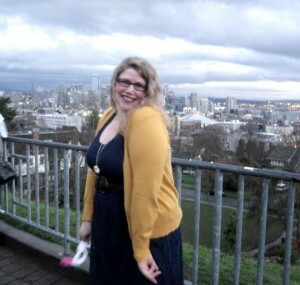 In Seattle, they talk about the Seattle Freeze and how hard it is to actually make friends. Luckily, both my brother and sister had moved to new cities and gave me some tips which have worked well both in Seattle and New York. For my brother it was running and skiing. For my sister and I, it was volunteering. When I moved to Seattle I started volunteering with Seattle Works. It was a wonderful way to meet like-minded people and give back to the community. I especially enjoyed Team Works because you volunteered for several months with the same group of people. I am still close with many of the people I met on my first team 8 years ago. When I moved to New York, many people recommended I check out New York Cares, which is a sister organization to Seattle Works. I’ve had the opportunity to participate in a couple projects with them and met some great people! If you’re trying to meet people in a new city, doing something you already enjoy is a great way. Whether you’re an athlete like my brother or philanthropic like my sister and me or you prefer something totally different, there are plenty of groups to join. Meetup is one great way to find a group to join. Many colleges have alumni groups across the country, which organize game watch and other special events. Even all the way in NYC there is an Oregon State University alumni group! It was great to cheer on the Beavs with them last fall. For me, my sorority alumnae group has been a fantastic way to meet a group of intelligent, driven and fun women. The Chi Omega alumnae chapter of NYC plans many events every month, so it was easy to find things I wanted to do. I’ve enjoyed it so much that for the next year I will be planning our chapter’s career and personal development events. I work in marketing and have specialized in social media for the last several years. Especially in my industry, networking is important for professional growth. It’s also a great way to make new friends! 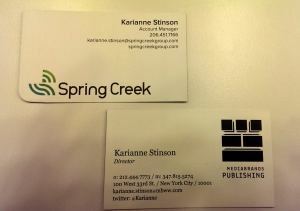 I met some wonderful people through Social Media Club Seattle. 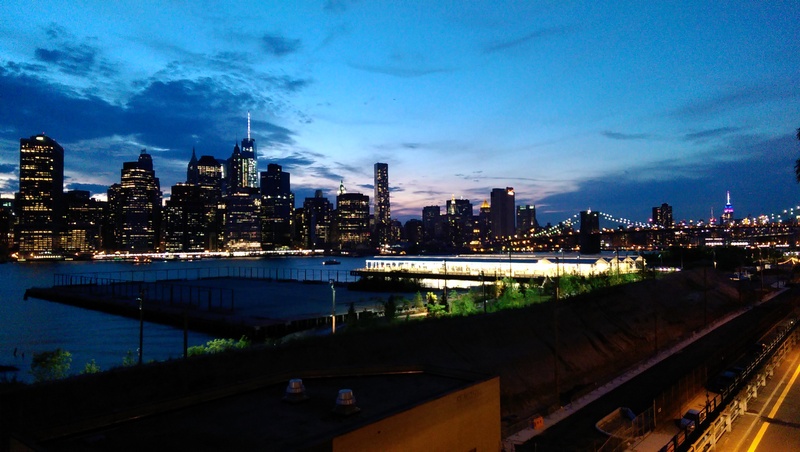 When I moved to New York I attended some of the Social Media Club events here and again met some great people. Also through social networks, I’ve become part of MOSAIC, a group of spectacular and fun marketers in NYC. Whatever your profession, networking is always a good idea. Added bonus, you can meet cool people! Admittedly, social networks like Facebook has made this easier. I can use graph search to see if I have any friends, or friends of friends in a given city. Messaging everyone I knew living in NYC is actually how I found my first apartment. But you can even meet people the old fashioned way and get your friends to introduce you. I met some of my favorite people in New York through mutual friends. We now even have a group on Facebook of Seattle transplants in NYC. There are more of us than you might think! Whether you use tech or word-of-mouth, having a friend in common can make it much easier to strike up a conversation and build a friendship. It isn’t easy to make new friends. It doesn’t happen overnight. I remember feeling pretty lonely my first few months in New York. But if you work at it and try to meet people, it eventually clicks. Then one day you’ll look around at the incredible community you’ve built and feel just as fortunate! Have you moved to a new city? Any tips you’d add? Still being pretty new to New York, I’m still adventuring around and getting to know the East Coast. 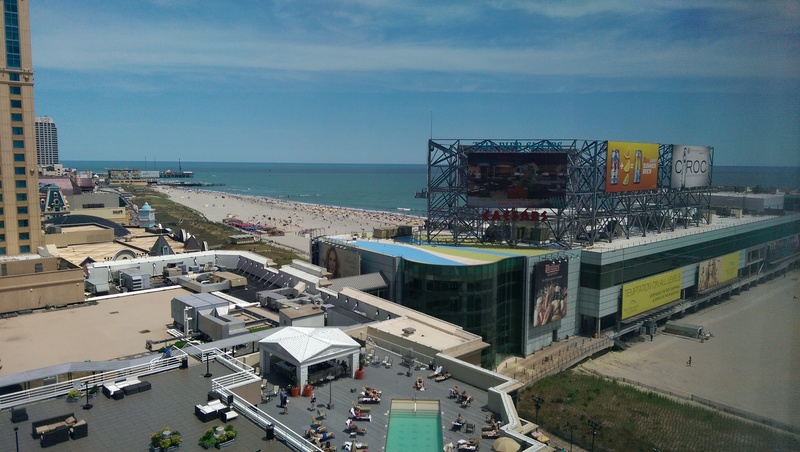 I had the chance to spend a very brief, but welcome, 24 hours in Atlantic City, New Jersey last week thanks to Crowdtap. I wasn’t really sure what to expect of AC. Some of my friends told me it was run down and sketchy, others said it was fun. I was excited to check it out for myself. 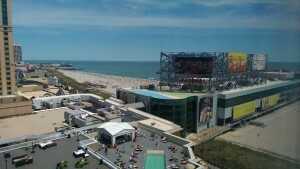 For some people the fact that Atlantic City is smaller might be a drawback, but I preferred it. Before I went to AC, I thought it would be like Vegas where it’s too far and too hot to walk anywhere. I swear it’s a mile just to walk within a casino from one end to the other! It was easy to walk around Atlantic City. I usually find Las Vegas a bit overwhelming, so I preferred the size of AC. 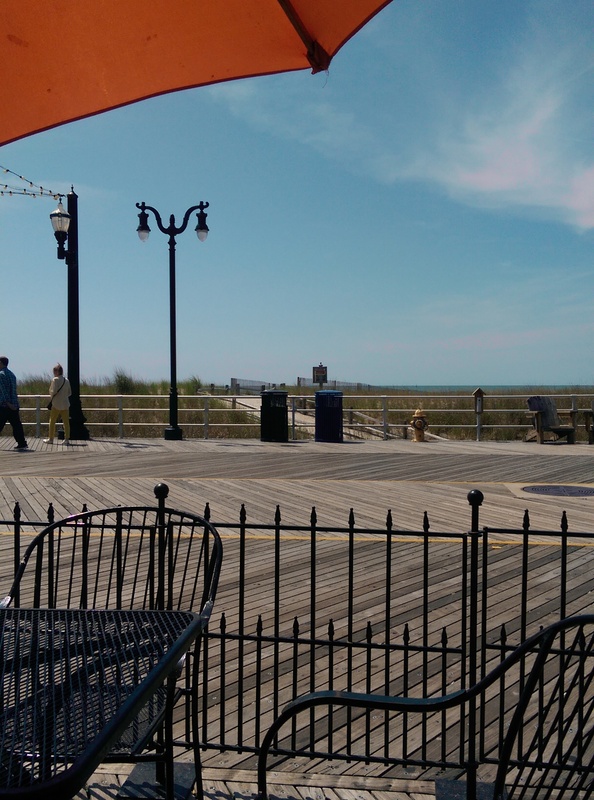 Between the ocean and the marina, Atlantic City was incredibly beautiful. Personally, I’d rather trade the flash and lights of Vegas for the natural splendor of AC. 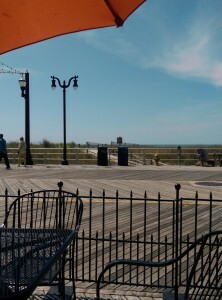 The Atlantic City Boardwalk is iconic. It’s cool and provides some amazing people watching! Sure, you get people watching in Vegas too, but walking down the strip isn’t the same as the boardwalk. It’s more nostalgic, relaxed and fun. And, to my knowledge, you can’t easily get funnel cake or deep-fried oreos on the Las Vegas strip. I’m a sucker for the ocean. The smell of the salt water. The sound of the crashing waves. The feel of the sand in my toes. Being in desert, there is no ocean in sight in Vegas. Being near the ocean is my happy place, so our trip to Atlantic City was relaxing as well as fun. I’m the type of girl who prefers dive bars over swanky clubs. To me Vegas has always felt too pretentious. The high-end clubs just aren’t my scene. I felt right at home in Atlantic City. It was far more chill and laid back. After a weekend in Vegas, I need another weekend to recoup. 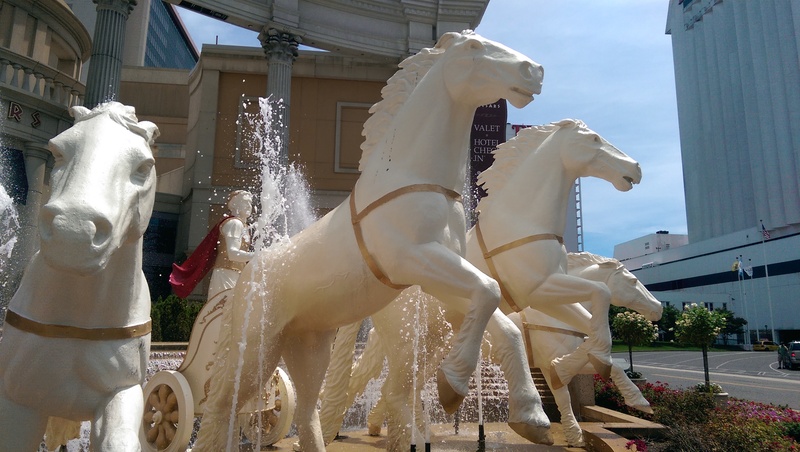 After 24 hours in Atlantic City, I felt refreshed and relaxed! It was a perfect getaway. In fact, I’m already planning another trip with some more girlfriends. We’ll be back, AC!